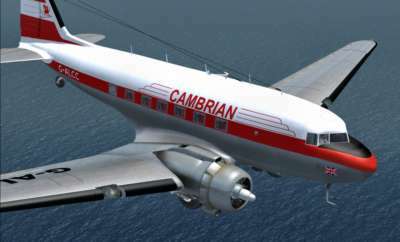 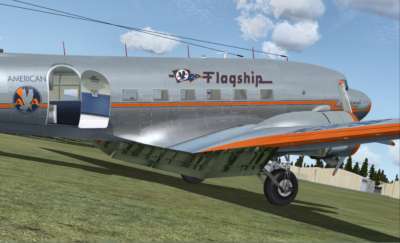 This fantastic package features the Douglas DC-3 in seven classic airline liveries, as well as two USAAF C-47 transports and an RAF Dakota. 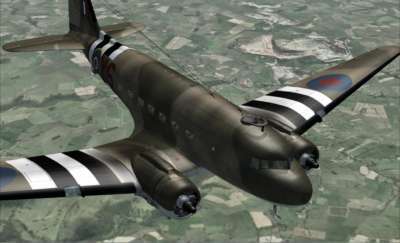 Also included are the AC-47 gunship, which saw service in the Vietnam war, and a fully flyable Waco CG-4A glider! 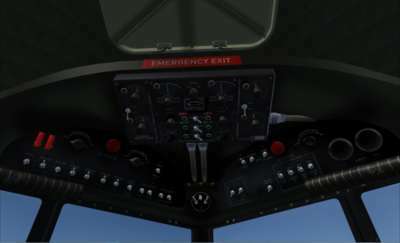 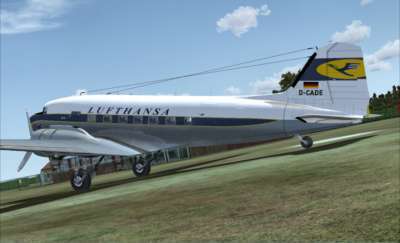 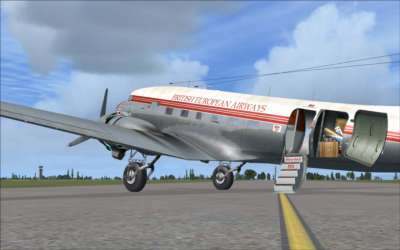 The aircraft exteriors and virtual cockpits are all modelled to the highest level of detail, and civilian passenger cabins and military cargo holds are modelled with appropriate animations - suitably dressed stewardesses and crew vehicles for the airliners, and cargo and troops in the military transports. 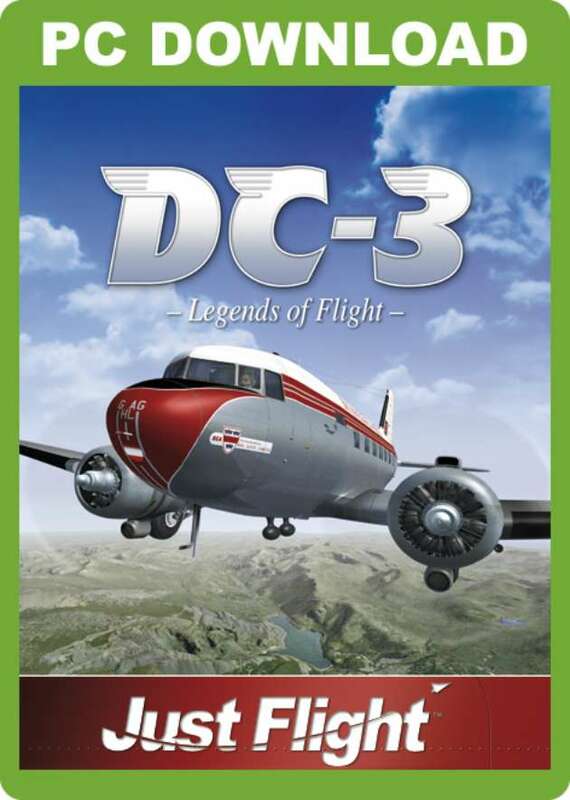 Fly the many variants of a true Legend of Flight! 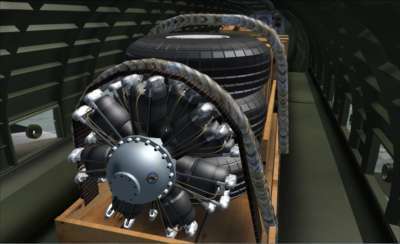 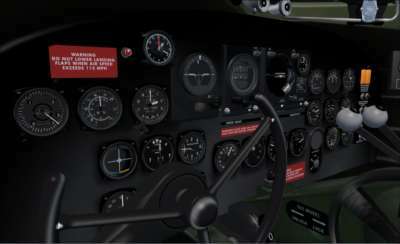 Fully detailed Pratt & Whitney and Wright Cyclone radial engines with detailed ignition systems, pushrods etc. 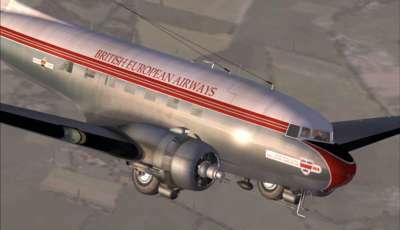 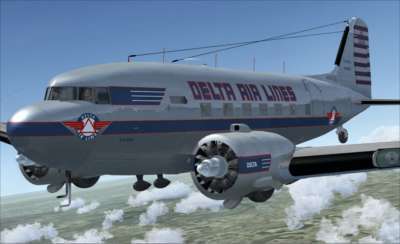 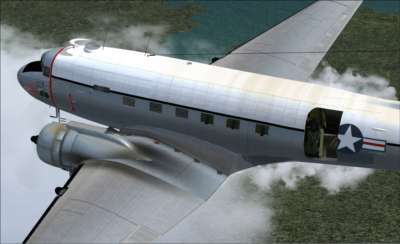 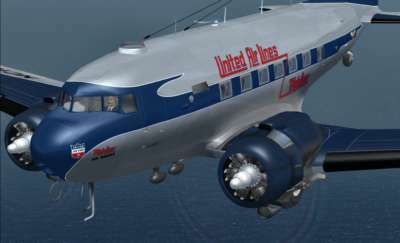 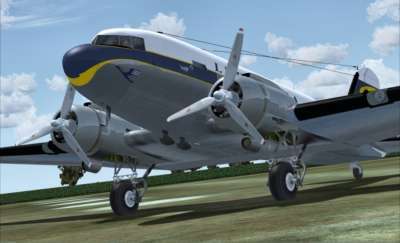 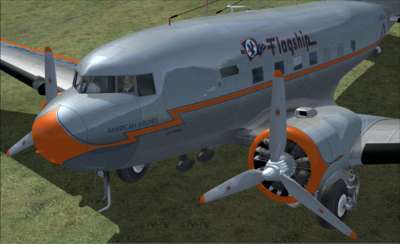 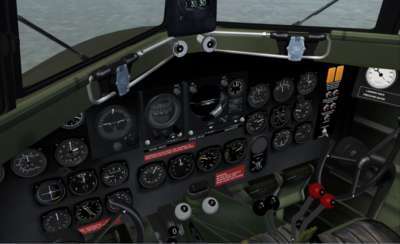 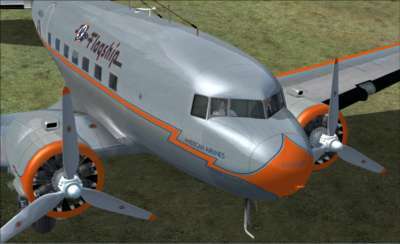 The DC-3 Virtual Cockpits come with fully detailed interior cabins, featuring a hostess figure is in the doorway of the exterior model and a passenger in the interior. 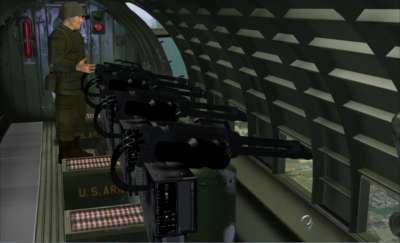 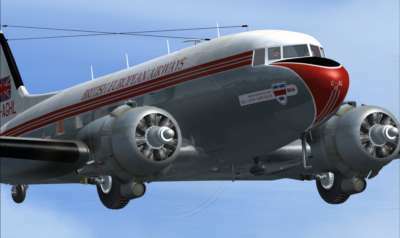 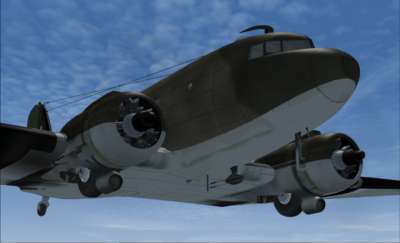 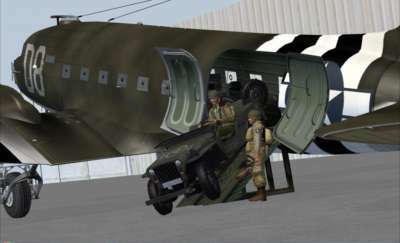 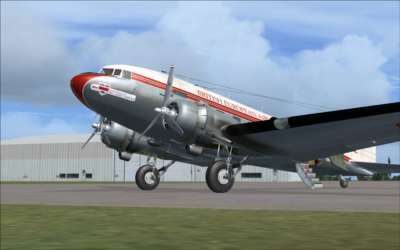 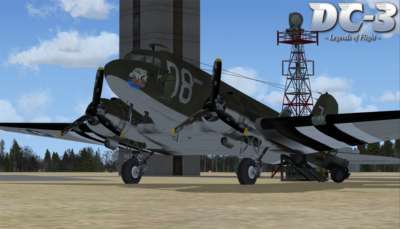 A boarding ladder is provided for the converted C-47 versions with the military-type doors, and the other DC-3s have drop-down doors with integral steps and animated hand-holds. 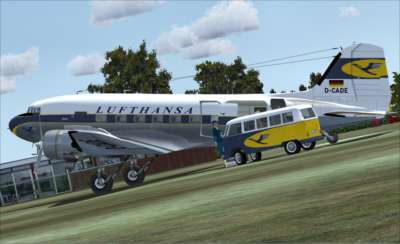 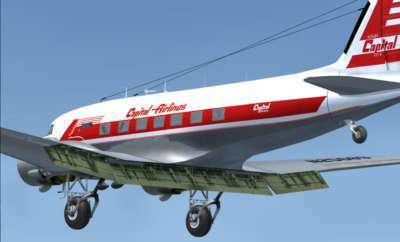 Models feature the correct passenger/cargo door variations that featured on the aircraft in different airlines. 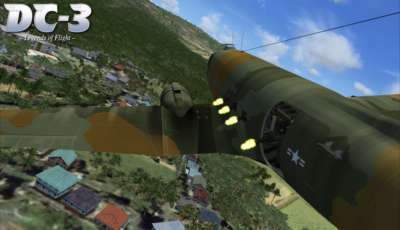 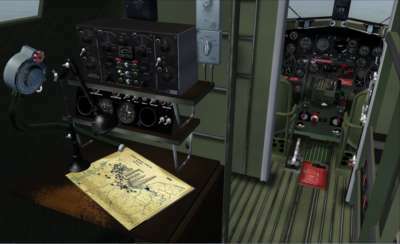 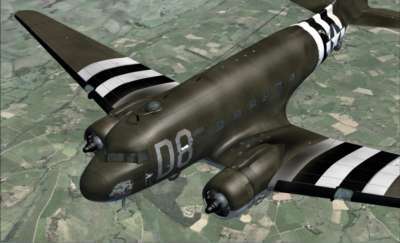 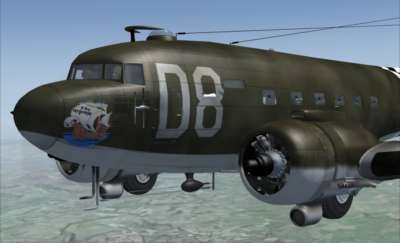 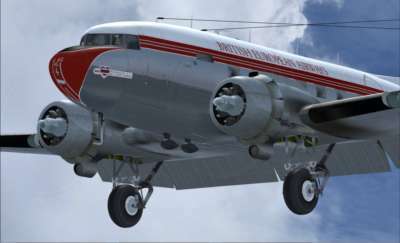 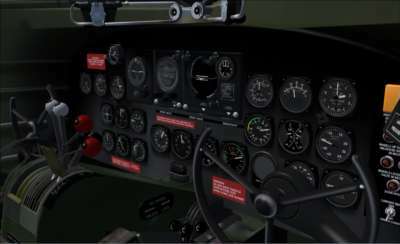 The C-47 transports come with complete, accurate interiors containing fully modelled fit-outs for parachute ops, a Radio/Navigation station and a fully detailed functional Virtual Cockpit. 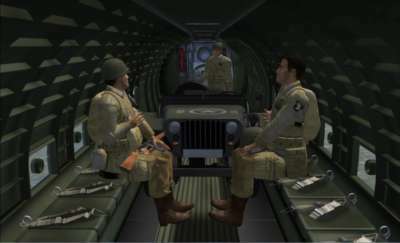 Two Airborne troop figures are included along with a detailed Willis jeep. 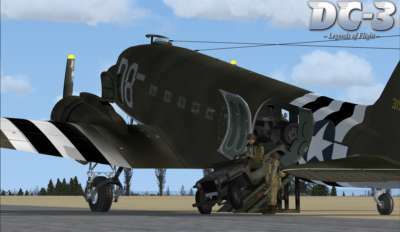 The AC47 Gunship has accurately modelled mini-guns fitted to the fuselage and doorways and the VC has the correct gun-sight adaption in the pilot's side window and a gun operation panel. 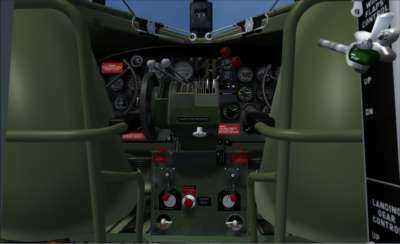 The VC view includes a detailed interior including a gunner. 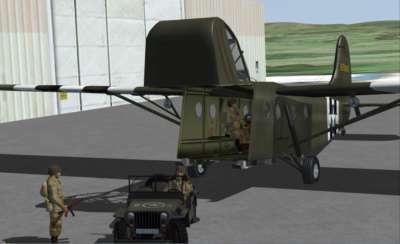 The Waco glider comes with two military pilots and a fully functional VC for flying independently in tow mode with the correct release mechanism and handles for the tow rope. 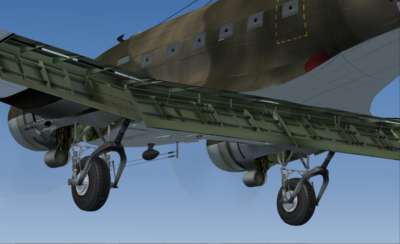 The nose of the glider swings open for cargo loading. 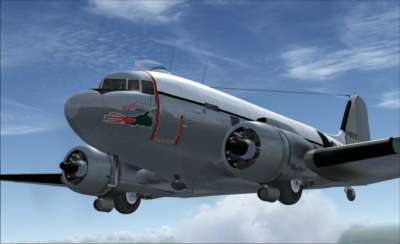 This fantastic package features the Douglas DC-3 in seven classic airline liveries, two USAAF C-47 transports and an RAF Dakota. 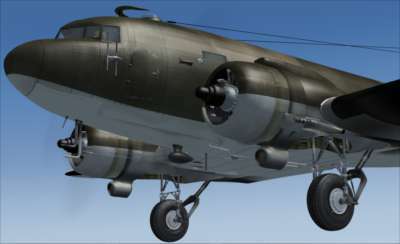 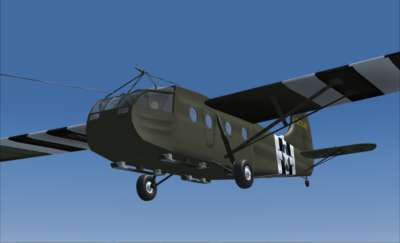 Also included are the AC-47 gunship and a fully flyable Waco CG-4A glider! 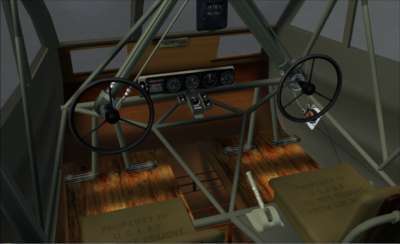 The aircraft exteriors and virtual cockpits are all modelled to the highest level of detail, and the civilian passenger cabins and military cargo holds are complete with appropriate animations.